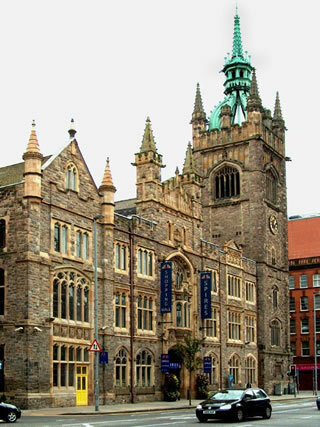 The 2019 Autumn Meeting for all U3As in Northern Ireland will be held on Monday 29 October 2018 at Spires Conference Centre (on the corner of Great Victoria St & Wellington St). As before, the Trust will cover the cost for 2 delegates per U3A and others will be charged £10 each to cover catering. There is no foreseeable limit on attendance and all U3A members are welcome to attend, but places MUST be booked in advance via the committee of your U3A. The location is close to the Europa bus and rail stations and for drivers a special all day parking rate of £6 is available for those using the car park off Hope Street. As before, the Trust will cover the cost for 2 delegates per U3A and others will be charged £10 each to cover catering. There is no foreseeable limit on attendance and all U3A members are welcome to attend, but places MUST be booked in advance via the committee of your U3A by 22nd October. Questions for the afternoon session should be sent to nithirdage@gmail.com by 22nd October.